When you have a few missing teeth, properly fitting partial dentures can restore your smile — and your confidence. The talented team at Denture Design Studio, serving people in College Place and Walla Walla, Washington, specializes in making, maintaining and repairing dentures and is committed to providing high-quality partial dentures. To learn more about removable partial dentures, call Denture Design Studio today. Removable partial dentures are replacement teeth that are attached to a synthetic base that’s made to resemble your gums. A framework that connects to the surrounding natural teeth holds a denture in place. Partial denture frameworks are made of metal or other materials with precision attachments or other types of connectors depending on the desired look. To improve the fit, crowns are sometimes needed on the teeth supporting your partial dentures. You remove your partial dentures at night or while sleeping to give your oral tissues time to relax. Partial dentures are made in-house by a licensed denturist with more than 30 years’ experience at Denture Design Studio. While Denture Design Studio makes your partial denture, you need regular appointments to guarantee optimal results and comfort. First, the denturist makes impressions of your mouth, which will be used to create a model. That model is then used in the fabrication of your partial denture to ensure its proper fit, function, and appearance. Denture Design Studio also offers same-day repairs such as adding or replacing teeth to a partial denture. How do you care for partial dentures? Partial dentures require gentle care. When you're not wearing them, put them in water or denture cleaner and clean them only by using a soft toothbrush with water and soap. Partial dentures should be rinsed regularly to remove plaque. What can I expect from partial dentures? While you get used to your partial dentures, you might need adjustments to ensure the most comfortable fit possible. 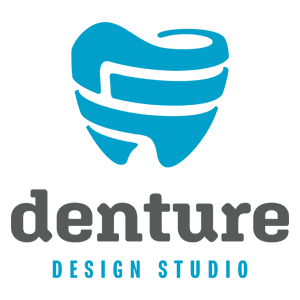 Call Denture Design Studio to schedule your free partial denture consultation.